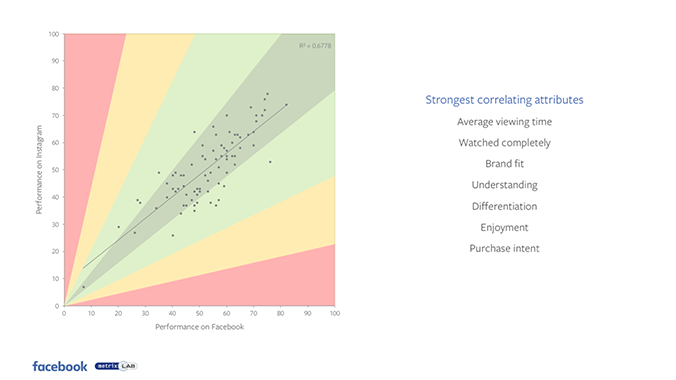 Facebook’s research team has published a new report which looks at the key components of the best performing videos on the platform, while also comparing the performance of the same video content across both Facebook and Instagram. The impetus behind the research is obvious – Facebook offers a video ad option called ‘Placement Optimization’, which enables advertisers to reach people within their target audience across both Facebook and Instagram. But if video content optimized for Facebook doesn’t work as well on Instagram, the option might not prove beneficial, right? To study the potential benefits of cross-platform video usage, Facebook worked with MetrixLab to first analyze 68 video campaigns in order to determine the key factors which lead to optimal video performance on Facebook. Of those 68, Facebook found that only 12% of them were considered ‘Outstanding’ performers, with the majority (78%) either ‘Sub-optimal’ or ‘Problematic’. 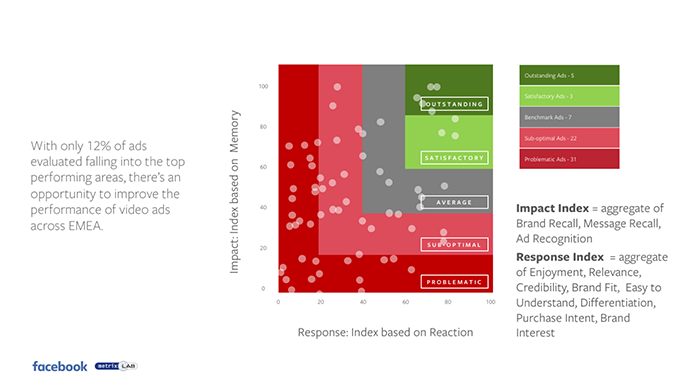 According to MetrixLab, the top performers were able to differentiate themselves because they were designed specifically for Facebook, as opposed to being re-purposed TV ads or cross-posted from other platforms. These tips are fairly generic, and along the same lines as we’ve seen in other Facebook video reports, but given their repeated relevance in such studies, they do bear re-iterating. When optimizing for Facebook’s feed, you need to consider that viewers will come across your video as they scroll, and with sound off (Facebook is moving to ‘sound on‘ by default, but you should still assume a significant number of viewers won’t have audio when viewing). As such, you need to deliver your messaging, prominently and efficiently, to maximize response. But as noted, how does that relate to Placement Optimization? If videos optimized specifically for Facebook perform best on the platform, do they also translate to the Instagram environment? The research also confirmed their findings that videos not specifically optimized for Facebook performed poorly on both Facebook and Instagram, while feed-optimized videos also performed comparably similar across key performance metrics on both platforms. But as noted, you’d expect Facebook-commissioned research to support the case for their ad products – otherwise, why would they make them? 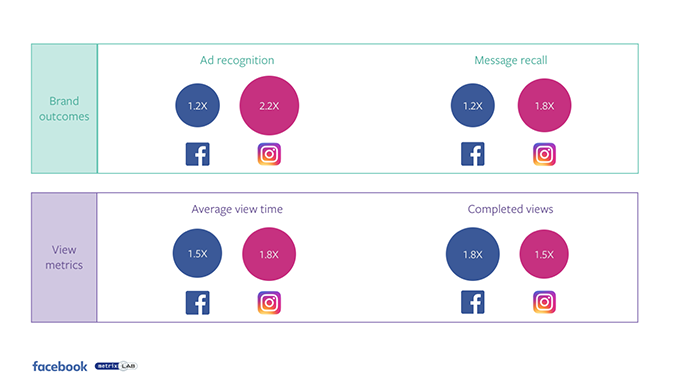 And while the insights here are focused on paid ads, it’s interesting to consider the implications for video on each platform in general, that video optimized for Facebook will likely work well on Instagram. Both are feed-based systems, of course, so the correlation makes practical sense, but in order to maximize your social media marketing performance, it’s important to optimize for each platform, rather than cross-posting, so it’s not always the case that one format will work on another network. The other – and arguably most important – element in this process is audience, and focusing your messaging on the right audience and strategic objectives for each platform, but still, there are some key considerations here for video creators, and important notes on optimizing your content. In short, what works best for Facebook video likely works well on Instagram also, which may provide expanded opportunities for your video efforts. 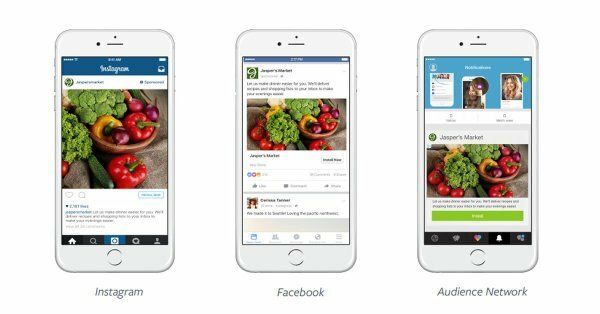 You can read the full Facebook cross-platform creative report here.